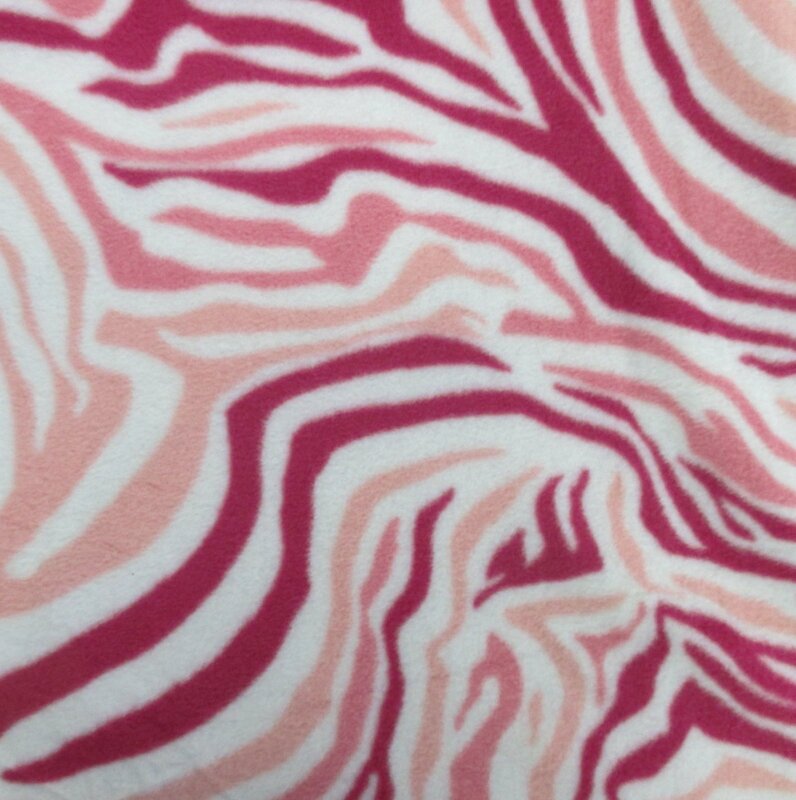 Cuddly zebra print in pinks and white! 100% Polyester. 58"/60" Wide.